The best Freezer Jams and Sweet Jalapeno Jellies. Most often when people think of jalapenos, they think of blazing hot peppers, but here at Sweetly Divine we have transformed blazing jalapenos peppers into a finger licking sweet! 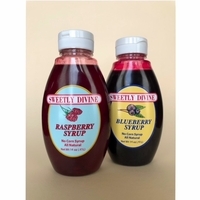 Our jelly can be spread or mixed into almost anything to create new and original dishes; or it can be used to spice up more classic foods such as hot-dogs, crackers, roasts, and sandwiches. 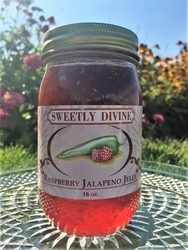 Sweetly Divine has to offer the best Jalapeno Jellies and Freezer Jams in Northern Utah; each jar is made by an international chef, at the kitchen of our locally renowned pastry and sandwich shop. Our headquarters are located in Cache Valley, Utah. We offer seven different varieties of jalapeno jellies, one delicious Habanero jelly and four flavors of spreadable freezer jams. All of our jellies offer the sweetness of high quality fruit preserves with the mild heat from the jalapenos. Our freezer jams are made with fresh and some frozen fruits. We make sure we put as much fruit in it as anyone making it at home. Our product makes the perfect unexpected gourmet gift.